As the spring bounces into my days, and the horses spend a few hours each day grazing in the pastures, the warm sun and flowering trees give me the sense of renewal and peace. All is well in the world. I make way into the house to a ringing phone. “Raven Rock Ranch, this is Sandy”. There is a deep breath on the other end. 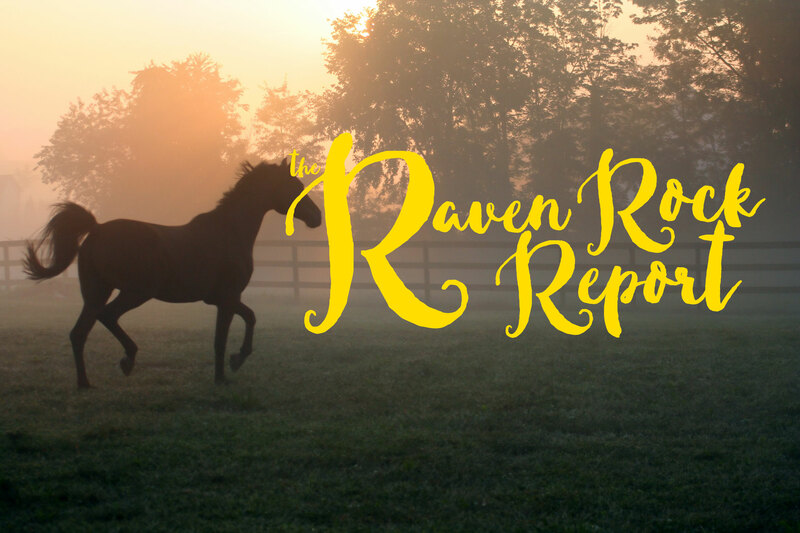 A quiet, tentative voice inquires, “Is this the place where you do horse therapy?” The tone is familiar to me- it is desperate, pleading and we have not even begun to unwind the story of this Mom’s fears. Her story is, unfortunately, way too common. She has 2 adopted children, 12 and 14 years of age. Their behavior in the home and at school has spiraled dangerously out of control- bad grades, stealing, disengagement, self-harm and finally ending in complete refusal to attend school at all. She has brought them to the available therapy that is provided by the state to all adoptive families. There, they have prescribed various kinds of psychotropic drugs, trying to manage problems that cannot be managed by drugs. And now, they refuse to talk to their therapist there, if she can even get them into the car. She is at the end of her rope. Raven Rock is her last hope. Right now, I have no choice but to tell her I will put her children on a waiting list. “It may be too late…” her voice trails off as she tries to fight back her tears. Many of you have been reading this report for a while now, and you know my heart. I do not want to leave ANY child unserved. Many remind me that I can’t “save them all.” I know, I know. But if I stop wanting to, I am not true to myself. All of my wonderful, dedicated staff feel the same way. But it is I who get these calls and read the desperate emails. It is a call to action for me. With the funding from last year’s Annual Auction Gala, we are currently able to seek a qualified staff member to offer more sessions so we can serve more kids. We have plenty of willing, generous horses. But in the winter, during the rainy season, we need another space to have a place to work with the new kids. We are currently able to work with 3 children at once in our covered arena. But we have a round pen, that, if we could cover it, we could add 25% more children to our roles. THAT IS WHERE YOU COME IN. This year’s Seattle Foundation GIVE BIG fundraising event is NOW. We will save up the $55,000 needed to buy the cover. It may take a while, but I hope that we will be able to save up that amount of money before next rainy season. PLEASE consider donating to Raven Rock through Give Big. If we raise enough money, we can get a portion of it matched by local corporations. In the past, this event has been one of our largest fundraisers. I am praying that you will join us in making it happen once again. Please just click on the following link NOW- your donation will be added to RRR’s total. The Seattle Foundation has made it easier to collect money all week and not just on one day. As always, I am depending on God and YOU. This is another chance to impact several kids’ lives. Help them to find a place where they feel safe, cared for and finally able to begin healing.